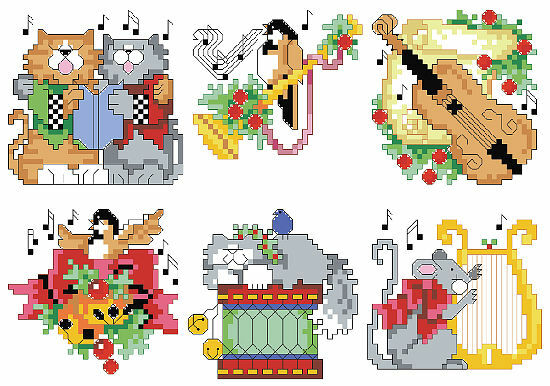 PDF Download - The music lover in your life will certainly be delighted with these Musical Ornaments. 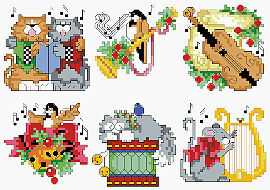 The addition of cute cats and a mouse can charm anyone and makes the ornaments perfect for friends and family. When you finish stitching, you may adhere the fabric to felt for a flat ornament or slip it into a small embroidery hoop for a bit more dimension.